Most visitors to Chicago stay in the downtown bubble and leave only when the guidebook tells them to, which is a rookie mistake. 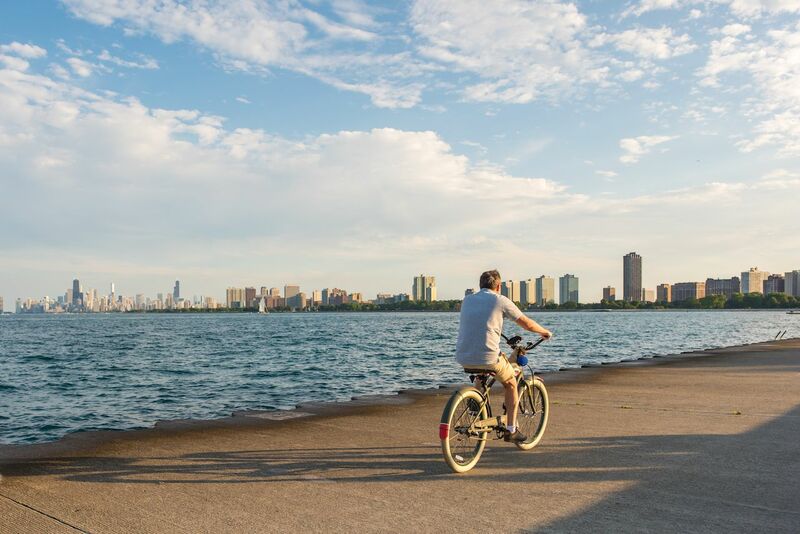 With a stunning lakefront, an incredible park system, and 77 neighborhoods that each have a unique history and culture, there’s a lot to see and do outside of the downtown core. Here are nine amazing things to do in Chicago that you won’t find in a guidebook. The Museum of Science and Industry is in plenty of Chicago guidebooks, but most visitors rarely make it out into the incredible park that’s just behind the museum. Jackson Park covers over 500 acres on the city’s Southside and has lagoons, beaches, a harbor, a public golf course, and driving range. The highlight of the park is Wooded Island and the Garden of the Phoenix, formerly known as the Osaka Garden. This beautiful garden was built as a Japanese exhibition at the 1893 World’s Fair and will make you feel like you’ve left North America altogether. The same city plan that gave rise to Jackson Park also created the Boulevard system, nicknamed the Emerald Necklace for the way these green streets make their way through the city, connecting neighborhoods to parks. The neighborhood of Logan Square has a particularly nice stretch of boulevard, with some stunning architecture. Logan Square is easily accessible by the Blue Line train, or you can leave the 606 — the recreational trail built along an old elevated freight train line — where it crosses Humboldt Boulevard and you’ll be right on the Emerald Necklace in between Logan Square and Humboldt Park. Logan Square is one of the city’s hottest neighborhoods right now and is full of great bars, restaurants, and food trucks for when you’ve had your fill of walking. Playing a round of golf on a piece of multi-million dollar real estate with spectacular views is usually very expensive. Not in Chicago. 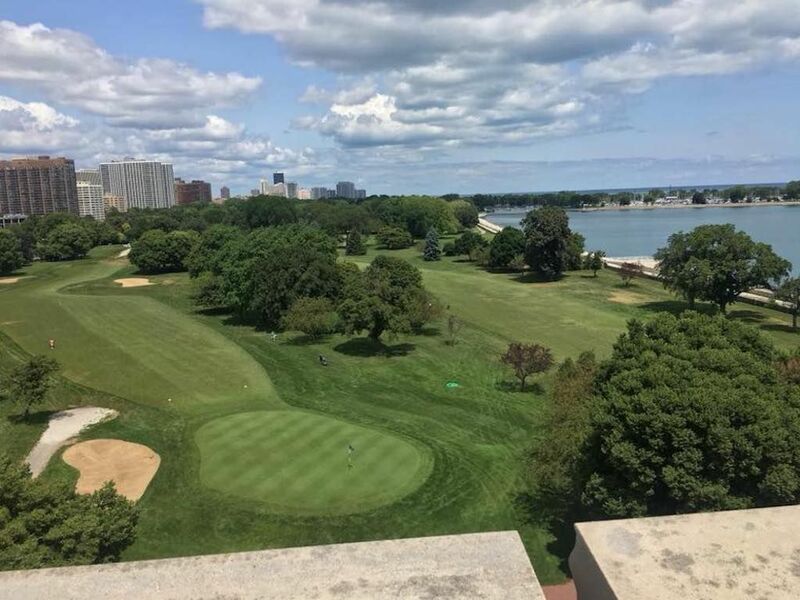 Anyone with even a passing interest in golf should play nine holes at Sydney R. Marovitz, a public golf course set between Lake Shore Drive and Lake Michigan on Chicago’s Northside. The course has stunning views of the lake, the skyline, and Montrose Harbor. You can book tee time on the website, and rounds go for about $30. Montrose Harbor is not in the guidebooks, but it’s a great place to go when you’re visiting Chicago. There’s a beach with a restaurant that has live music every night in the summer, soccer fields that hold some pretty intense pickup matches, picnic areas with grills, a bait shop, the Lakefront jogging path, a forested bird sanctuary, and even a cross-country ski path in the winter. All of that comes with incredible views over the lake toward the downtown skyline. 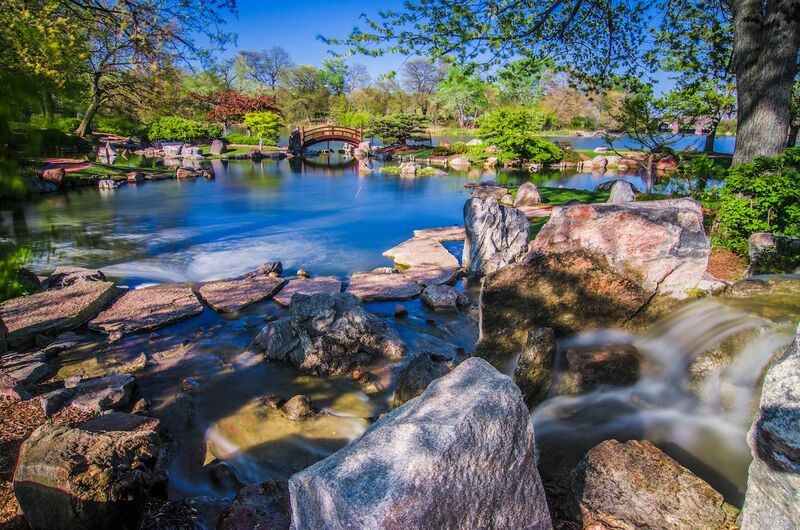 Humboldt Park (both the neighborhood and the park at its center) is a perfect place to go in the city if you want to see a slice of what Chicago really is about. Originally an area where German immigrants settled, it has been predominantly Puerto Rican for the past few decades. Today, it’s gentrifying, bringing controversy, but also a boom of bars, restaurants, and new businesses. You can still find proud Puerto Rican heritage, including some great restaurants and food trucks. In the park you can boat in the lagoon, picnic on the sledding hill, stroll through restored native prairie and marshland, and watch some pretty epic baseball and softball games. 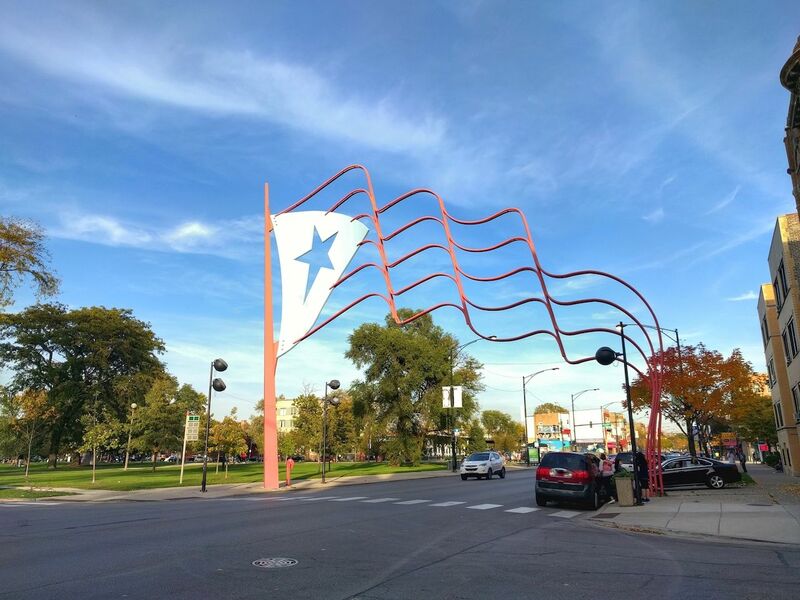 Pilsen is a neighborhood on the Southwest Side with a history somewhat similar to Humboldt Park. Originally an outpost of Czech immigrants, it’s now the heart and soul of Mexican-American Chicago today, but it’s also changing fast due to gentrification. Besides having a lot of truly outstanding Mexican food, Pilsen is probably Chicago’s best neighborhood for murals and street art. This is the place to go for anyone interested in public art, and to see a vibrant Chicago neighborhood that’s changing but also holding onto its identity. Check out this website for a gallery of Pilsen murals, complete with addresses for each one. A fishing charter probably isn’t what comes to mind for most people when they visit Chicago, but the fishing here is epic. Lake Michigan is regularly stocked with Coho and King Salmon, Steelhead, and Lake Trout — getting a dozen or more big fish isn’t at all uncommon. Unlike a lot of places, you can keep everything you catch, and it’s actually quite clean and tasty. The Garfield Park Conservatory is an underappreciated Chicago spot. 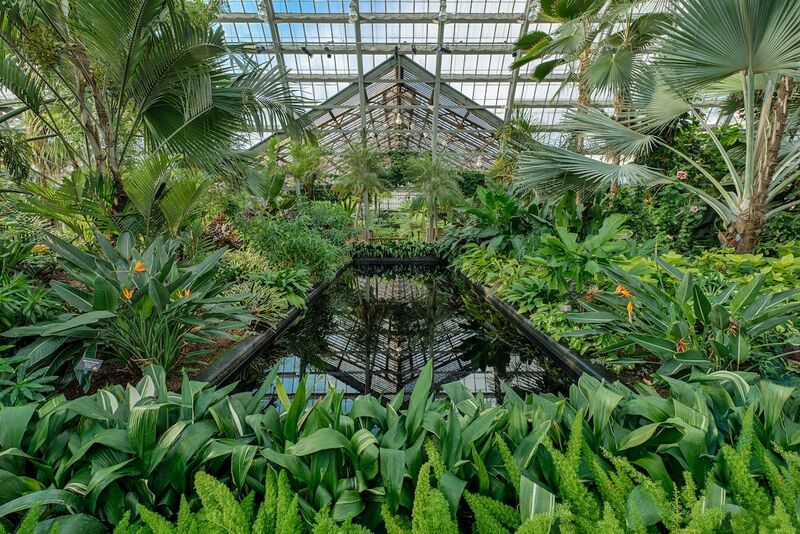 It’s one of the largest public greenhouse spaces in the country and is simply beautiful. The park and conservatory are part of the same Emerald Necklace system mentioned earlier, and both can be accessed by car or by the Green Line train. The Chicago Botanic Garden is in plenty of guidebooks. The Skokie Lagoons, however, are not. The Botanic Garden is built on the north end of these lagoons in the city’s northern suburbs, but the rest of the area doesn’t get the attention it deserves. It’s one of the best places to get out into nature in Chicagoland, and renting a canoe or kayak and paddling around here is an incredible way to spend half a day in Chicago. Pair this with a visit to the gardens and you’ve got yourself a perfect day.